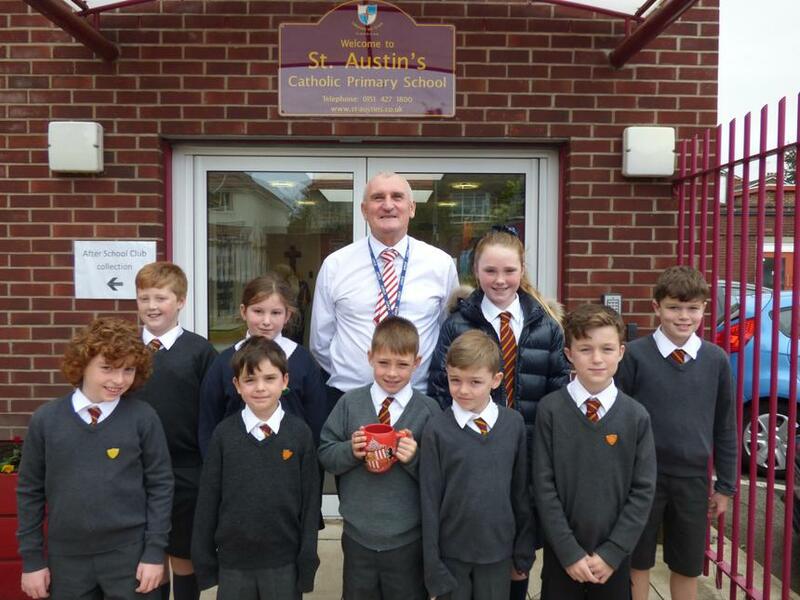 Congratulations to last week’s pupils of the week and apologies for the delay in celebrating with our children. The talk today was all about the Liverpool giants and what a brilliant weekend it was. Lots of our boys and girls went to the event and Ellis was lucky enough to spot Miss Barret, Mr Hughes and Mrs Baird in the huge crowd that was there. The favourite of most of our children was Xolo the dog however they were also impressed when the big giant was given a large mouthful of water from a fire engine. Another brilliant Liverpool weekend with visitors from all over the world again enjoying our great city! A happy birthday to Oliver who had the privilege of holding a very special cup to celebrate his birthday!